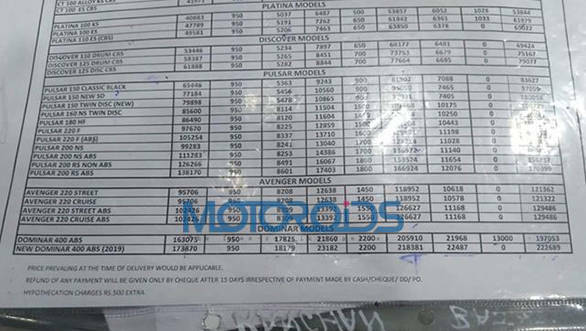 The prices for majorly updated Bajaj Dominar 400 which is yet to be launched have been leaked and the Indian sports tourer now starts at Rs 1.73 lakh ex-showroom India. This brings the on-road cost of 2019 Dominar 400 up to Rs 2.22 lakh which is Rs 15,000 dearer to its customers than the current model on sale. The bookings for the updated model commenced in the last week of February with a token of Rs 5,000. 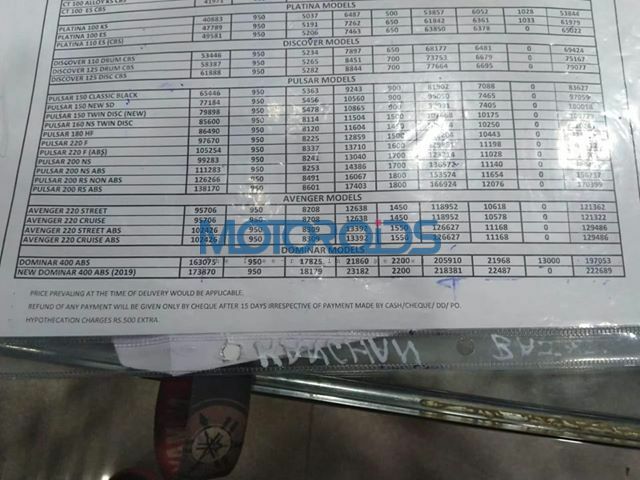 With this pricing, the new 2019 Bajaj Dominar 400 is placed alongside the Honda CBR 250R and the KTM 250 Duke. 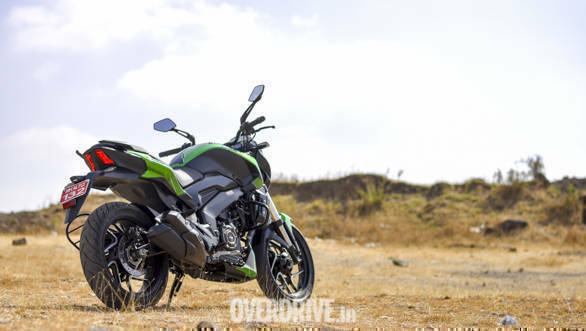 For the 2019 model year, the Dominar 400 is now offered with a new green colour and the headlamp is restyled to visually look smaller. The motorcycle has a forged steel side stand and the rearview mirror stalks are cast aluminium too. The bike retains the same set of alloy wheels with a similar design as the early one. The 13-litre fuel tank now gets a freshly designed tank pad decal, and the pillion seat is embossed with a D logo suggesting the name Dominar 400. The taillamp elements have been tweaked, however, it retains the same design as its predecessor. Mechanically, the bike retains the same 373.3cc liquid-cooled, single cylinder engine which is now tuned to deliver 5PS more. Switching to a DOHC (double overhead camshaft) setup as opposed to the SOHC setup for the engine has made this possible. The engine is mated to a six-speed transmission. 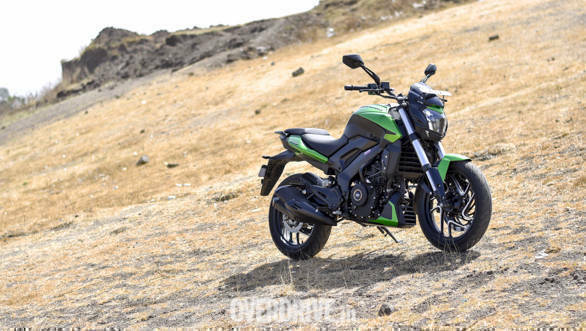 The power figures for the new 2019 Bajaj Dominar 400 are 40PS and 35Nm of torque. The power to weight ratio of the new Dominar 400 is 217PS per ton. The front telescopic suspensions setup has been replaced by USD (upside down) forks, however, the rest of the cycle pars remain the same. The motorcycle has a 320mm disc up front and gets a 230mm disc at the rear.